Bill and Joyce (Woydziak) Luthman, my grandparents, on their wedding day, August 11th, 1956. Photography is one of the few things the increases in value over time. If you don’t believe me, ask your grandma. And to further prove my point, I did this exact thing when I visited my grandparents’ home one afternoon. The conversation began simple enough with asking my grandparents, Bill and Joyce, about their day and, like most grandparents, the conversation moved from discussing day to day life, to when Grandpa learned to drive (THE THIRD GRADE), to figuring out if I have a Luthman nose or a Woydziack nose (we agreed I have the latter). It wasn’t long before photos were taken out of the old cedar chest and I began learning about those I owe my life to that I’ve never met and never will. The whole time I listened to my grandma tell me about family vacations, her sister that died at ten years old, and more, my heart was so happy, yet so sad. I couldn’t believe that it took me almost twenty seven years to take the time to genuinely get to know my grandparents and listen to their stories and pearls of wisdom. While sorting through photos, my grandma mentioned not having a photo of her entire family, but only one photo of her and a few of her siblings at her dad’s funeral (below). Photography has moved from being a luxury item to being so accessible that many don’t realize the importance and power a photograph contains until it’s all they have left, like my grandparents. I bet my grandma would pay any amount to have a photos of her entire family, but, sadly, that opportunity is long gone. Grandma Joyce (bottom left) and six out of her eight siblings. I encourage couples to imagine being in this situation when they celebrate their 80th birthday down the road. It might seem strange, but it’s to get couples to think of the big picture (pun intended). A wedding day is one of the very few times that all your friends and family will be in once place at one time, and is a PERFECT opportunity to get photos with loved ones that you can cherish for years and years. I think we all know which one is most valuable. 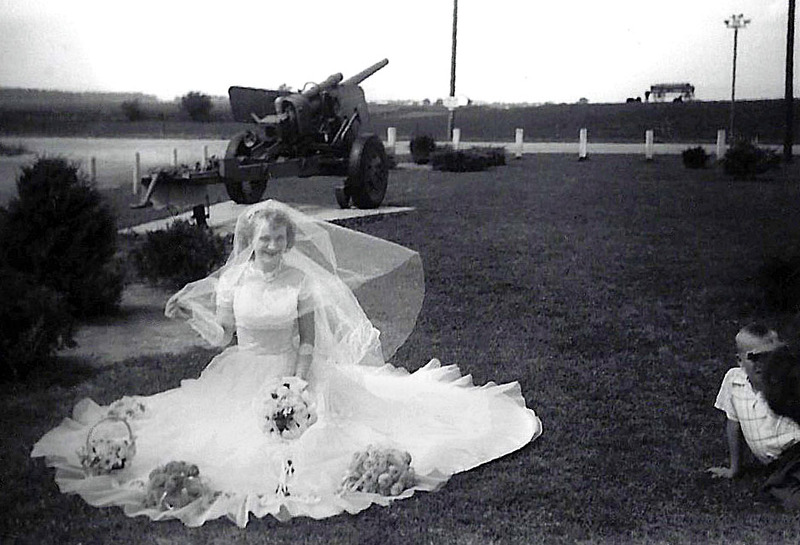 Isn’t my grandma the most beautiful bride? !